Only 25% of all VC startups returned any money to founders between 1987 and 2006. The announcement on Feb. 13 of the acquisition of the semiconductor arm of Molecular Imprints (MII) by Canon is a seminal event in the story of imprint patterning. Full disclosure requires me to mention that as a founding team member at Molecular Imprints, my founders shares are now worth something — but well short of not needing to write a free blog as a marketing exercise for my consulting efforts! Toshiba and Canon are making a significant strategic bet that imprint can change the competitive landscape in Flash. 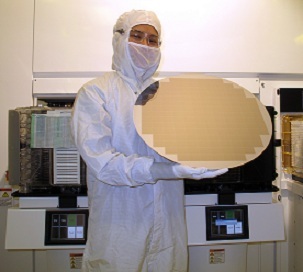 As an outsider these days, I have to say this is an extraordinary change from the early days when we could not print a wafer that looked good to the naked eye, let alone meet a defect-density specification. The other significant achievement, from my perspective, is that MII is a VC-funded company. It’s been 11 years since first funding, and the founders have not been diluted out. The non-semiconductor arm of MII will live on as a separate company focused on hard disks, displays and nanotechnology. The hard disk effort showed tremendous promise but seems to have stalled over the last couple of years as the hard disk guys try to work out the future of high-capacity memory. Another interesting perspective comes from “The Founder’s Dilemma,” by Noam Wasserman, which should be required reading for anyone thinking about a startup. He quotes research in 2010 for VC-funded startups from 1987-2006. Of those, 9% went public, 26% merged or were acquired, 19% were not going to return anything, 31% remained private, and 15% had gone out of business. Mergers do not immediately provide returns to investors, so less than 35% of the companies generate any ROI. Only 25% of all VC startups returned any money to the founders. Any return beats the odds! My take is that this is an object lesson in the significant barriers to entry in semiconductor these days, which make it very difficult to develop a VC-funded start up. However, if management moves aggressively to keep expenses well matched to sales and project revenue, then the company can survive many years of ups and downs. From an industry perspective, the amount of money invested in imprint is still a small fraction of both EUV and multi beam e-beam investments, and here it is with one of the industry’s premier suppliers committing to having an impact on one of the industry’s biggest businesses. This will make very interesting watching over the next few years.